Our teachers at Noosa Tutoring Centre all strive to create a learning environment that is nurturing. A nurturing and focused environment enables students to perform at their highest ability. We have a range of individually tailored, one to one programs. Each child has a program written specifically for them and the same specialised teacher each time they come to our centre. Programs include literacy from pre-prep years, all levels of English and Mathematics tutoring, essay writing, exam preparation,Senior School tutoring and more. Our qualified and experienced teachers help students to develop the skills that they need to learn to succeed in the classroom and our aim is to install a love of learning in your child. Once a child likes to learn we find they acquire new knowledge much more readily. Ideal for students who feel too self conscious to ask questions within a classroom environment. Creates an educational environment that has fewer distractions and encourages concentration. Focuses on areas that students have difficulties with. Builds self esteem, confidence and sets foundations for future schooling success. 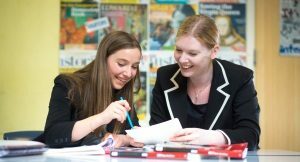 Creates an enthusiasm for learning amongst students as they are taught by tutors who are passionate about their subject area. Allows students to catch up on classroom lessons. Encourages shy students to ask questions in order to grasp concepts and ideas, as often they may be too shy to speak in class. Helps with homework and answers questions that mum and dad may not know the answer to. Our teachers are all highly qualified and have years of experience behind them. Call today to find out more about the range of tutoring services or go to the location and contact page and email your query.